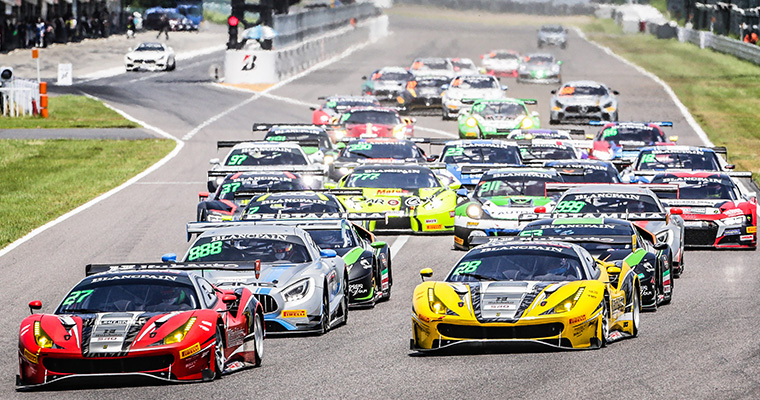 Tim Slade says he felt like a Bathurst rookie while tackling Japan’s legendary Suzuka circuit for the first time last weekend in the Blancpain GT Asia Series. The 32-year-old relished the opportunity to race on one of the world’s most revered tracks as part of his program with the Malaysian-based Hub Auto Ferrari team. 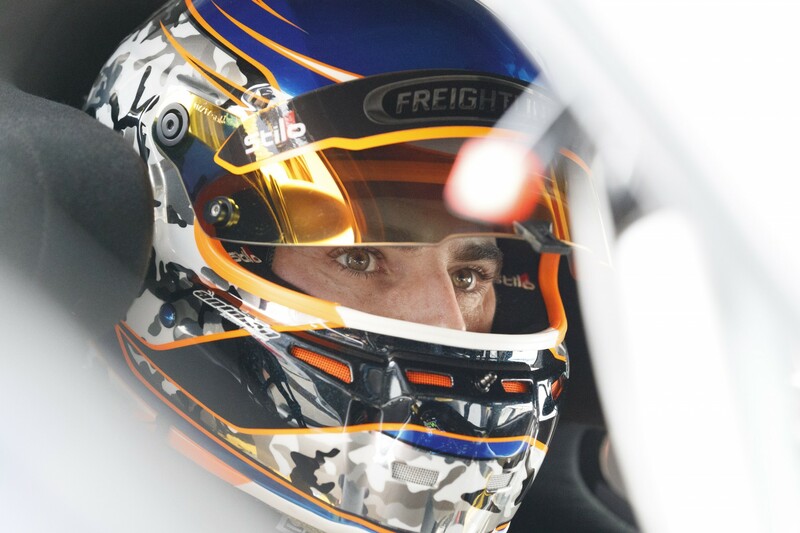 Recruited to the team by fellow Aussie Nick Foster, Slade is doing every round of the Blancpain season that does not clash with Supercars events. Driving alongside team owner Morris Chen in the Pro-Am class, Slade made his debut at Sepang in Malaysia in April, before tackling Buriram in Thailand in May and then the season’s showpiece at Suzuka. Set inside a funfair, the 5.8km Suzuka circuit features a unique figure-8 layout and has played host to a number of dramatic Formula 1 title deciders. 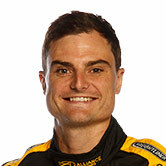 “Suzuka was definitely the best track so far, mainly because it has so much history,” Slade told Supercars.com. “My whole life, from as far back as I can remember, I’ve watched all of the Formula 1 stuff. “So much has gone down there, including the famous Senna-Prost clashes, so it was pretty amazing to get there. The track definitely didn’t disappoint. “Normally we have people come up to us the first time they see Bathurst and say how amazing it is, the undulation, the blind corners, how tight it is. “Because you’ve been there so many times you’re used to it and you forget what it’s like for them. But that was me at Suzuka. “You don’t get to see the undulation and the camber on TV, it was very cool and different to what I expected. Slade and Chen finished 10th outright and third in Pro-Am on Saturday, with the class podium marking a special moment for Chen. Sunday, however, went less smoothly, with Slade caught out by a suddenly-slowing GT4 car at the final chicane while chasing team-mate Foster for the lead. The resulting damage put Slade’s Ferrari out of the race and, while disappointed, he’s already looking forward to returning to the series later in the year. “It’s definitely a good way to fill in some of those weekends where I’m not in Australia racing the Supercar,” he added. “It’s something I’ve wanted to do for a while now, race a bit more GT stuff in some endurance races overseas. “For me, it’s bucket list stuff to get to those famous tracks around the world like Suzuka. “I miss a couple of races; Fuji clashes with Queensland Raceway and then the Suzuka 10 Hour is the same weekend as Tailem Bend. “But then we’ve got two in China, Shanghai (September 22-23) and Ningbo (October 13-14), and there are potentially other races the team is going to do as well. 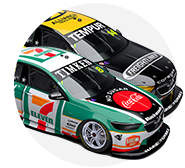 Brad Jones Racing's Slade is 11th in the Virgin Australia Supercars Championship, which resumes with the Watpac Townsville 400 this weekend.